This consultation has now closed. Thank you to everyone who submitted feedback and attended an information session. Your ideas are being considered in the finalisation of the guidelines. Please note that submissions will not be made public and detailed responses to individual submissions will not be provided. Releasing extra water into our waterways to keep our aquatic ecosystems healthy is an important part of water management in the ACT. Known as ‘environmental flows’, this water replaces the natural flows that may be missing because our water supply dams stop it entering the streams or during times of drought. We need environmental flows because fish feed, breed, spawn and migrate in response to natural flow patterns. Flow patterns determine the shape of stream channels, how different stream habitats connect to each other and what plants and animals occur. 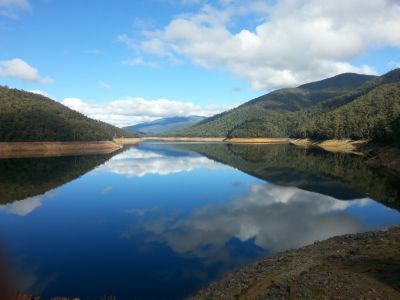 Water for the environment is given priority when deciding how much water is available for all uses in the ACT, including urban water use and water entitlements. Every five years the ACT Government reviews and revises the Environmental Flow Guidelines, which set out how much water we release—and when. Environmental Flow Guidelines determine the water needed by a stream or river to stay healthy and fulfil important ecological attributes. For example, it’s important to maintain healthy populations of the threatened Macquarie Perch in the Cotter River so, every two months, 150 megalitres are released each day for three days below Bendora and Corin dams. 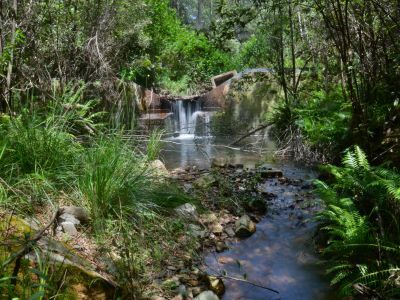 The draft Environmental Flow Guidelines follow a review of the current guidelines by the Institute of Applied Ecology of the University of Canberra. They have been developed using the latest scientific data, research and analysis and take into account the need to consider future climate change scenarios and requirements under the Murray–Darling Basin Plan. You can also attend an information session in July. Please keep an eye on this website for details of dates and venues. Comments and submissions close on Friday 17 August 2018. How will your views be used? All comments will be considered in the finalisation of the Environmental Flow Guidelines. Submissions are welcome from individuals, community groups, industry organisations and others. Please note that submissions will not be made public and detailed responses to individual submissions will not be provided. Why do we have environmental flows? How much water do rivers and streams need to stay healthy? How are environmental flows delivered? Why do we have environmental flows during drought? Why is groundwater considered in the environmental flow guidelines? Do we release environmental flows to ensure downstream irrigators in NSW have sufficient water? Are the environmental flows released from Corin and Bendora Dams captured downstream? 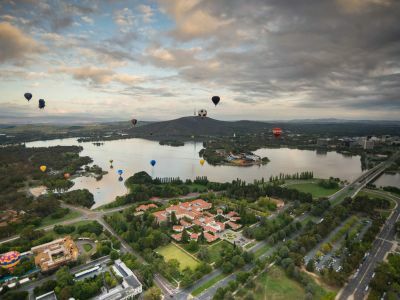 Does the Basin Plan affect the ACT’s environmental flow guidelines? Environmental flows are the flows of water released into our streams and rivers when it is necessary to keep the aquatic ecosystem healthy. Environmental flows are designed to mimic the natural condition of rivers. It is not just about the amount of water but also timing and quality. Rivers, streams and wetlands need certain amounts of water at specific times to support healthy aquatic ecosystems. In rivers that have been dammed, or are being used for irrigation, this normal flow is changed. In situations where water is added to a river, the natural flow of the river is also altered. Environmental flows are particularly important when a river has been dammed or a significant amount of water is extracted for irrigation. The government may make an environmental flow, for example, by releasing water from a dam during drought time. For rivers where more water is being added, such as outflow from a sewage treatment plant, it may be necessary to allow for more abstraction to regulate the flow. Environmental flows are provided for all rivers and streams in the ACT. 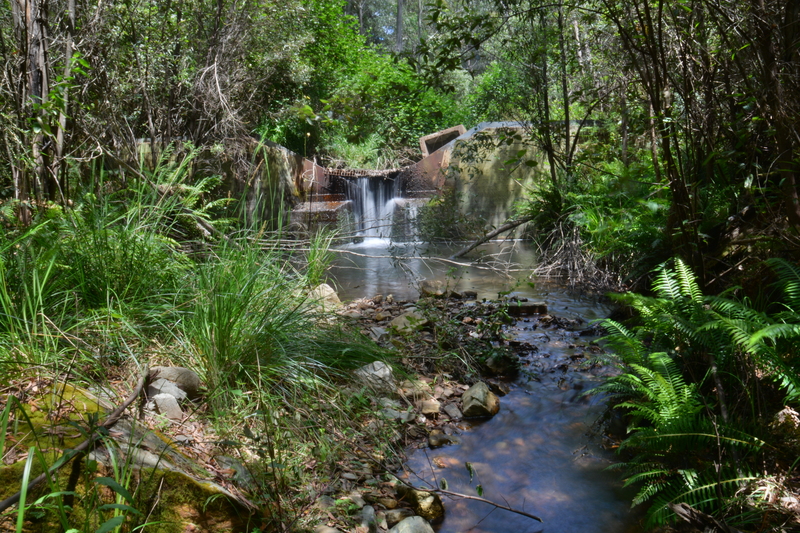 In the Cotter catchment, environmental flows are ensured through releases from the reservoirs. In other catchments flows are protected by restrictions on the volume of water that can be abstracted (taken out). 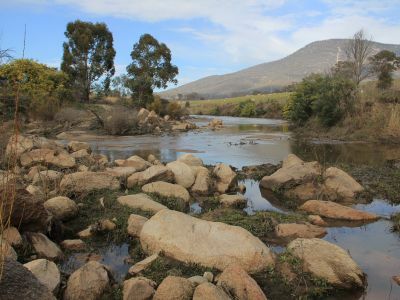 Environmental flows also apply to the Queanbeyan River downstream of Googong Dam because the ACT has management control over this area. There are two broad classes of environmental flows: releases of water below dams, and protection of flows in rivers without dams. Streams and rivers need water to survive. Particular flow patterns determine the shape of the stream channel, how different stream habitats connect to each other and what plants and animals occur. For example, fish feed, breed, spawn and migrate in response to natural flow patterns, and may carry out these activities in different parts of the stream. In the ACT flows are naturally low during summer and autumn and much higher during winter and spring. Rivers also naturally experience periods of very low or no flow, and at other times there are floods. It is important that environmental flows mimic this variability of flows. At the same time, water is required for domestic supply, irrigation and industrial purposes. However, taking too much water for these purposes can change the natural flow patterns and can affect habitat availability, food supplies, water chemistry and nutrient processing. This can lead to the loss of biodiversity, a decline in river water quality and a decline in overall condition. It is important to have flows for conservation purposes. For example, the stretch of river between Corin and Bendora dams is inhabited by two nationally threatened fish species, the Macquarie Perch and Two-spined Black Fish, which we are committed to protect. Environmental flows help us do this. The quality of water released below dams can sometimes be compromised by lower than normal water temperatures, low dissolved oxygen levels, or other water quality parameters. Releasing sub-standard water quality can severely impair the functioning of aquatic ecosystems. Environmental flows compensate for changes of natural flow. Water may be released from dams or protected from abstraction (removal of water for irrigation or some other purpose) at certain times to allow rivers to function normally. In the ACT, the Water Resources Act 2007 requires environmental flows to be defined for all water bodies in the ACT in Environmental Flow Guidelines. Guidelines were first produced in 1999. The guidelines set out the volumes and timings of environmental flows, and abstraction limits, in streams, rivers, lakes, and aquifers. There is no specific volume of water that will keep all streams and rivers healthy. Streams and rivers need flows of water that mimic their natural conditions; some streams naturally stop flowing during dry periods, while others flow all the time. In the ACT, the amount of water a stream or river needs to stay healthy is determined by identifying important ecological attributes, and what flows these attributes need to function normally. For example, one ecological objective in the Cotter River is the maintenance of healthy populations of the threatened Macquarie Perch, which needs particular flows to breed, feed and move up and down the river. We ensure that rivers receive their required environmental flows in four ways. In rivers below water supply dams, environmental flows are releases of water delivered at certain times of the year. 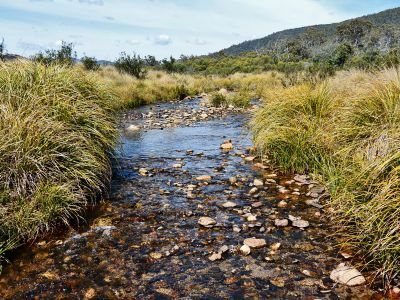 For example, one environmental flow component in the Cotter River is the bimonthly release of 150 megalitres of water a day for three days below Bendora and Corin dams. In other rivers, setting limits on how much water can be abstracted protects environmental flows. This ensures there is always enough water in the rivers to keep them healthy. Abstraction limits are also set for groundwater because, in the ACT, groundwater flows back into streams providing most of the base flows. For urban lakes and ponds there are limits on how much water can be taken from a water body so as not to significantly affect its designed drawdown regime (water level). Drawdown regimes influence the health of lake ecosystems by allowing the water plants growing around lake margins to survive and reproduce. During drought the reduction of water in the supply storages means the community experiences water restrictions. At the same time, the environmental flows in the water supply catchments are reduced to allow more water to be available for domestic use. Environmental flows should not be stopped completely during drought because this causes long-term or permanent damage to aquatic ecosystems. Although the rivers may have dried out naturally in the past, rivers in water supply catchments are more sensitive to drought stress because of the additional stress imposed on such rivers as a result of dams. While we need to protect water supplies, we also need to ensure that aquatic ecosystems are not damaged. The Environmental Flow Guidelines reinforce this approach, with reduced environmental releases during times of water restrictions. Groundwater in the ACT is largely in shallow fractured rock aquifers or sediment deposits adjacent to streams. Rainfall enters the groundwater to recharge aquifers, then flows through the aquifers and discharges to streams. The discharge from aquifers makes up most of the low flow in our streams that supports the minimum requirements for healthy fish, plants, insects and water quality. If we abstract groundwater, less water flows back into streams and aquatic ecosystems may be damaged. The interconnections between surface and groundwater in the ACT mean we must consider both components in our guidelines. The purpose of environmental flows is to protect aquatic ecosystems. By identifying particular elements of the aquatic ecosystem we want to protect (ecological objectives) we can target these with particular environmental flows. The ecological objectives for water bodies in the ACT include broad objectives like ‘healthy ecosystems’, and more specific objectives such as ‘maintain populations of the endangered fish species Macquarie Perch’. ‘Turning the tap on’, that is providing a volume of water released at constant rate, is not an environmental flow and will not protect the aquatic ecosystems and associated ecological objectives. In the ACT, the flow in streams and rivers is highly variable. Flows are naturally higher in winter, and lower in summer, but even within a season the flows vary. Aquatic ecosystems are adapted to and need this variability. Base flows—the flow component largely contributed by groundwater, and are the minimal volume of water that the river needs to stay healthy. If the base flows are compromised, the river shrinks and certain habitats disappear, with significant consequences for selected aquatic fauna and flora. Riffle maintenance flows—flows that flush out the fine sand and silt that accumulate in the shallow fast- flowing sections of the river and damage habitat for fish, water plants, and other aquatic species. Pool and channel maintenance flows—flush sediment from pools and ensure the river maintains its natural channel form. The flushing of sediment is an important function for maintaining healthy aquatic ecosystems. Special needs flows—designed for a particular ecological need. No. 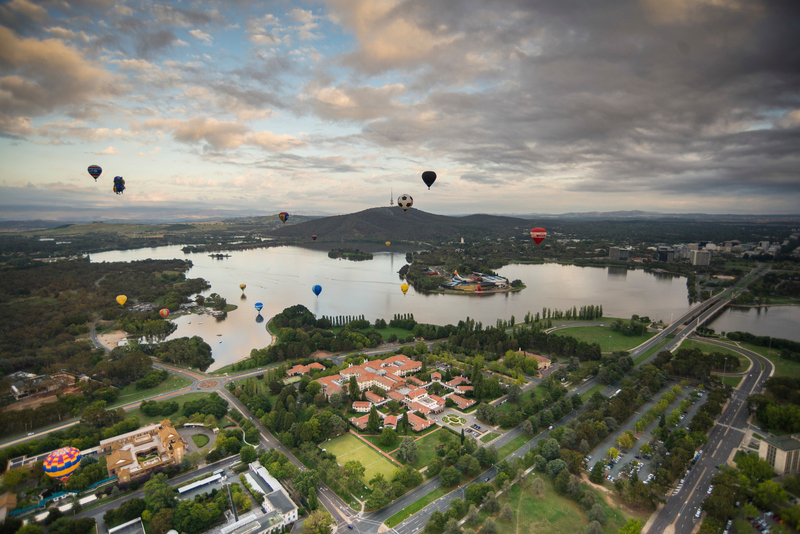 The purpose of environmental flows in the ACT is to protect ACT aquatic ecosystems. Flows are based on the environmental needs of streams in the ACT and do not take into account irrigation requirements downstream. The environmental flows released from Corin Dam can be recaptured in Bendora Dam, and the environmental flows released from Bendora Dam can be recaptured in the Cotter Dam. 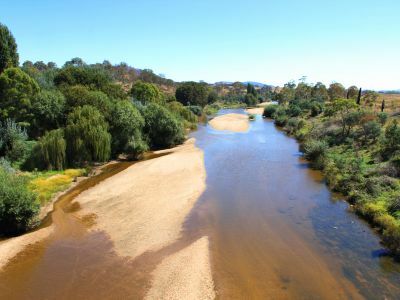 While environmental flows along the upper Cotter River range from 20–35 gigalitres/year depending on conditions such as rainfall and water restrictions, less than 2 gigalitres/year must be released below the Cotter Dam and leave the Cotter Catchment. The best environmental flow for any stream or river is the natural flow that would exist if there were no diversions from the river. However, our rivers and catchments fulfil multiple functions like domestic water supply, recreation and biodiversity conservation. These other uses need to be taken into account when considering the water needed for environmental flows. urban ecosystems, that is urban streams like Ginninderra Creek. an annual larger flood to move the sediment out of the pools to maintain the channel and associated fish habitat. ensuring the continuation of small to medium floods which maintain the shape of the channel. The volumes and timing of the flow components vary between the catchments, reflecting differences in the rivers, and ecological objectives. The ACT’s environmental flow guidelines are a crucial overall component for the ACT to demonstrate its approach to water resource management under the Murray–Darling Basin Plan and, in particular, the Basin-wide Environmental Watering Strategy under the Plan (2013). The Environmental Flow Guidelines incorporate the basis for the ACT’s Environmental Watering Plan under the Basin Plan, particularly with respect to the provision and management of environmental water, which is given first priority in the planning and management of ACT’s water resources and subsequent uses. The Basin Plan requires that Priority Environmental Assets and Priority Ecological Functions are identified and accounted for in water resource planning. The Environmental Flow Guidelines (Appendix 3) incorporate how these assets and functions are protected in the ACT context. The Basin-wide Environmental Watering Strategy requires, for example, strategies to achieve outcomes for native fish, water dependent vegetation and water birds. This is reflected in the Environmental Flow Guidelines.